Attention fellow police officers worldwide! 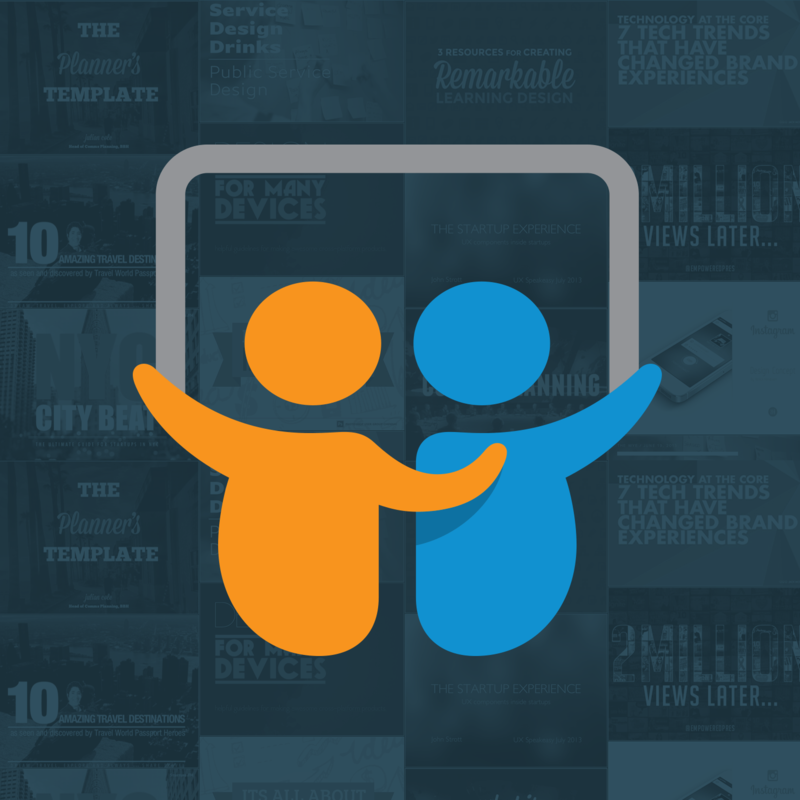 If we are not using social media for the good, social media will find us with the bad! We had over a million people join us at #PrideTO today at the parade. Happy Pride everyone. 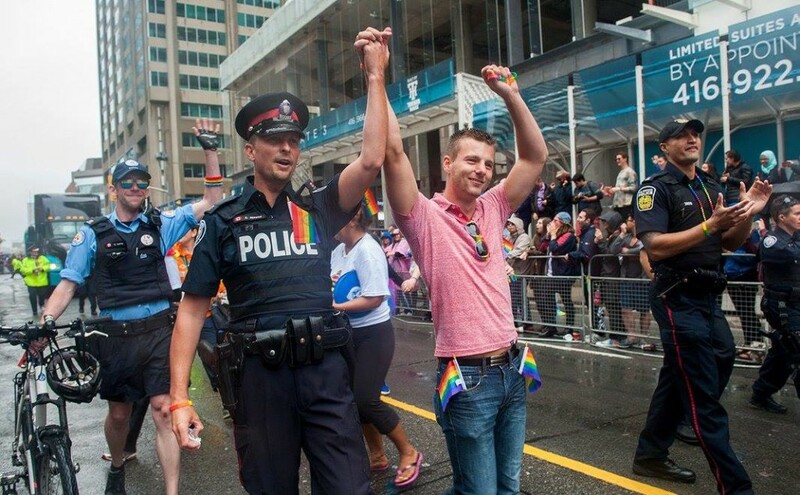 It was with great #Pride that I was assigned to work as the Toronto Police Service Social Media Officer for the 2015 Pride Parade alongside Incident Commander Superintendent Hugh Ferguson in the Toronto Police Operations Centre. 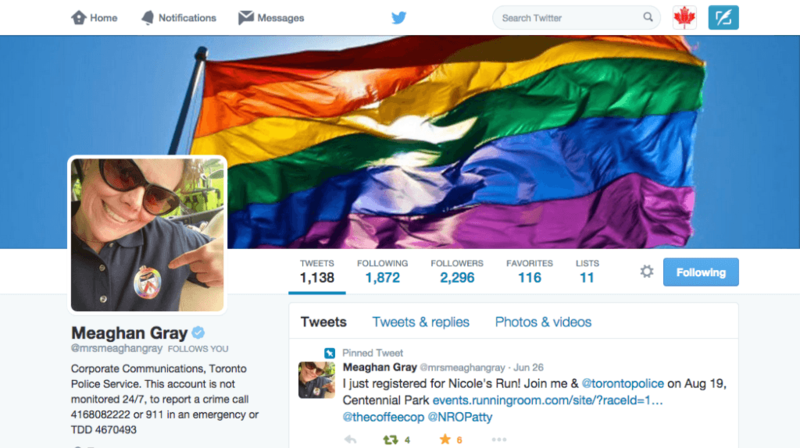 On Sunday June 28 for the Pride Parade, we also welcomed a dedicated cop duo Constables Laurie McCann (Twitter @TheCoffeeCop) and Alex Li (Twitter @CopWhoLovesCars) as well as our Toronto Police Service Corporate Communications Issues Manager Meaghan Gray (twitter @MrsMeaghanGray) who were using social media exclusively for community engagement. Pride in Toronto is arguably the largest single annual event, although many will say that “Caribana” (now formally known as the Scotiabank Caribbean Festival) is largest. And … Have fun we did! By the end of the day, Supt Ferguson asked if we had any analytics to show the reach in social media. Click here to read what happens in social media for police acting heavy handed in Turkey at ‘unauthorized’ Pride Parade. 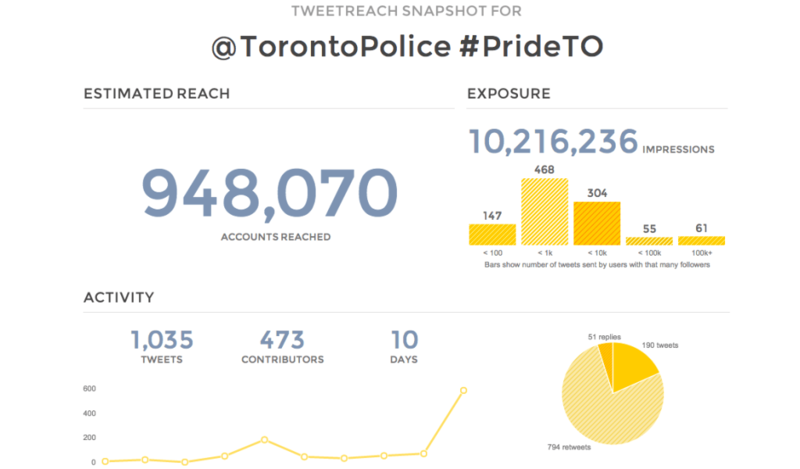 In conclusion, whether you agree with the accuracy of the ‘TweetReach’ analytics results or not, it is clear that the community of Toronto on the streets at Pride and in social media have huge Klout for social media good!… The police in Turkey.. well..will leave that up to you to decide! Using analytics on ‘TweetReach’ the @TorontoPolice twitter account on hash tag #PrideTO reached 948,070 accounts with 10,216,236 impressions.